On the 5th of April there’s been updates in 2007, 2008, 2012, and 2013. In both 2007 and 2012 the April Penguin Style for that year was released and an Easter Egg Scavenger Hunt began. In 2008 the Aqua Grabber game was updated. Also in 2012 there was a new pin hidden, a new treasure book, and a new field op mission. In 2013 Operation Hot Sauce began, the Spy Phone was given a new design, there was a new pin, and so much more. On this day in 2007 the April Penguin Style was released and the second ever Easter Egg Hunt began. The theme of the April 2007 Penguin Style was musical instruments. Items such as the Tuba, Electric Guitar, and Violin were released. At the egg hunt eight well decorated and camouflaged eggs were hidden around the island. If you found them all you were able to collect a prize, the Blue Bunny Ears. In 2008 the Aqua Grabber game received an update. You could no longer salvage pieces of Rockhopper’s ship. Instead you could collect the pearl treasure. Just like in 2007, in 2012 there was a new clothing catalogue and an easter egg hunt. That wasn’t all the updates, however. There was also a new pin hidden, a new field op mission, and a new treasure book. The main theme of the new items in April 2012’s Penguin Style was different environmental items for Earth Day as well as some casual springtime clothing. For example, one of the items in this catalogue was the Green Recycle T-Shirt. Another big update in 2012 was that year’s Easter Egg Hunt. The prize that year was Bunny Ears again, except this time they were yellow. Also in 2012 a new pin was hidden on the island. I was Club Penguin’s is the 200th pin overall. The pin I am referring to is the Easter Basket Pin. It was the eighth pin to have been hidden at the Forest. There was also a new field op mission, the 76th one. You had to go to the Dance Lounge (the Arcade) and in the mini game you had to match your data with the firewall to break through the system. The final update in 2012 was a new treasure book. It was the 16th one to be released. It contained exclusive items that could be unlocked with a code obtained from specific Club Penguin merchandise. Moving on to 2013, the biggest update that day was Operation Hot Sauce, or as it was known to non-EPF agents, Fun at the Cove. 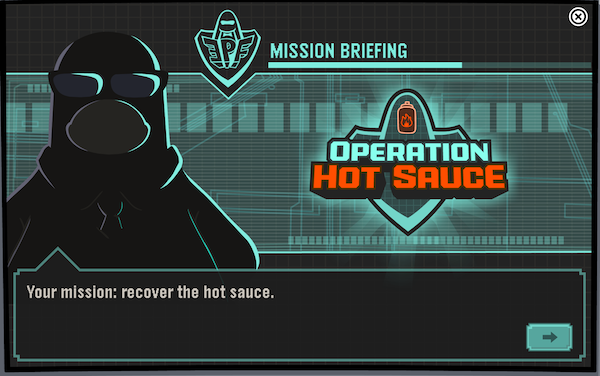 Operation Hot Sauce was a two week long EPF mission. 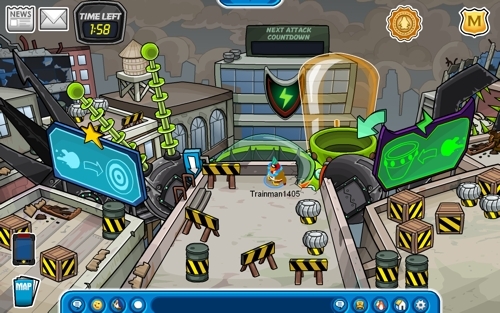 This operation marked a new chapter of the EPF, as along with the mission, agents received a brand new spy phone that had an all new design and features. Fun at the Cove was a pizza party that got cancelled due to there being no hot sauce. The no hot sauce scenario happened because Herbert stole it all, which was what the operation was based on. Penguins had to collect evidence at the Pizza Parlour, track Herbert, and stop him. 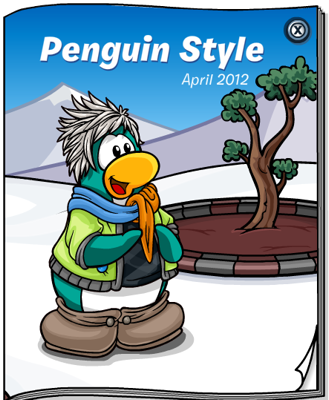 Also on this day in 2013 the April edition of the Penguin Style was released. The theme of the new clothing items was superheroes, a preparation for the 2013 Marvel Superhero Takeover. Login screens advertising the upcoming takeover were also added to the game. Another update in 2013 was a new pin. It was the Bunny Rabbit Pin. It was located at the Dojo. 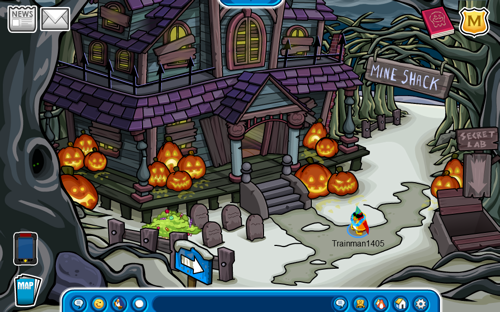 It is Club Penguin’s 241st pin and is the second pin to be hidden in that room. The rest of the updates in 2013 were minor. The featured postcards were updated, rooms such as Plaza and Mountain given sound effects, Squidzoid vs Shadow Guy & Gamma Gal returned to the Stage again, Club Penguin launched their Instagram account, the Snow Beta Hat was released, and finally Club Penguin tweaked their chat. It was given a slight new look, the prewritten suggestions were updated, and you could now type apostrophes.